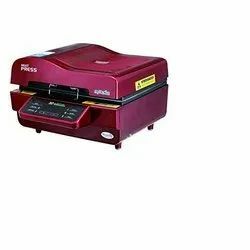 Leading Wholesaler of t-shirt printing heat press machine, mug press machine, t-shirt printing heat press machine 16x24, 5 in 1 sublimation t-shirt heat press machine and st-3042 3d sublimation heat press machine from New Delhi. We are offering T Shirt Heat Press Machine to our client. *Leading Wholesaler of Single Mug Printing Machine from New Delhi. You Can Print Best Quality of your Image. *Print logo, photo, image or picture on the mug surface for advertising, gift purpose with artistic and applied effects. An excellent choice for sublimation first timers. 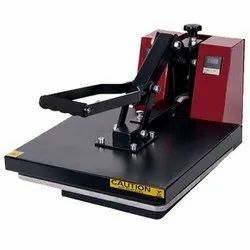 *Mug Heat Press is a durable, easy to use mug press that is perfect for any hobbies or low production start up business. 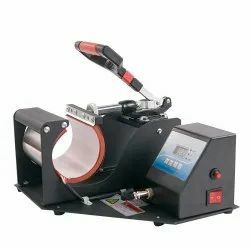 This All-In-One 5 In1 Heat Press Can Be Used For T-Shirts, Mugs, Coasters, Mouse Pads, Ceramic Plates, Ceramic Tiles, Caps, Lettering, Other Misc. Fabrics & Materials, Jigsaw Puzzles. Compact Size and Lightweight, As Compared To Standard Mug Cradles O Detached Cradle for Use of the Mug Elements. Adjustable Multi-Spring Balancer, Spring Uniform Pressure, Better Effect. 3D Vacuum Sublimation Transfer Machine is Multifunctional Machine which can be used in below product. 1.Yoc can print 3d mobile covers. 2. You can print 12 mug in one time.